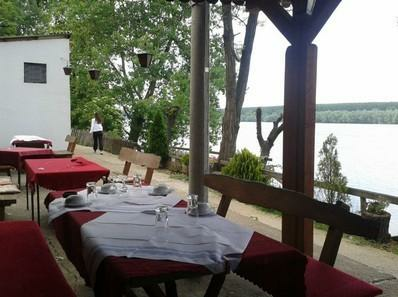 Hotel D10 is located in a quiet part of Zemun, near the shore of the Danube. Completely isolated from the city crowd, and its neighborhood abounds with interesting restaurants and bars and tourist attractions that will complement your holiday and bring the spirit of this part of Belgrade closer to you. Gardoš tower was built in 1896. by the Hungarian authorities to celebrate the millennial anniversary of Hungarian statehood, and later became the symbol of Zemun. Amazing view from this place will take your breath away and you will remember it forever. What is particularly interesting is that this tower is 36 m tall. Great War Island represents an oasis of pure nature, and the sandy beach “Lido”, on its western part,is one of the favorite summer places of people from Belgrade. If you are looking for a corner away from the urban area, choose this place to enjoy and reinvigorate. “The White Bear” tavern is the oldest house in Zemun (about 4 centuries old) and is the only preserved example of Balkan architecture in this part of the city. 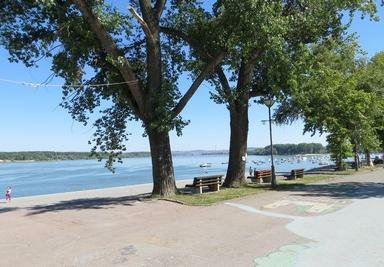 Zemunski kej (Promenade of Zemun) is the pearl of Zemun and the favorite place of its inhabitants. It is situated on the right shore of the Danube and represents an ideal area for fun, relaxation and family rest. You can enjoy every day in the walk, bike ride, a pleasant drink or meal by the river, and the positive atmosphere of the promenade will fill you with additional energy. One of the most beautiful parts of Zemun is also the City Park with tree alley more than 150 years old whose paths will lead you and fill you with peace in the pure nature that surrounds them. There you can see a Roman sarcophagus, more than 2m long, found while digging the foundations of the Millennial Tower in Gardoš. We recommend to the theatre and opera lovers to visit Madlenianum, the first private opera, and theatre in the region, located on the place of the former Zemun’s stage of the National Theatre. You can find modern, as well as classic plays in the theatre’s repertoire. We recommend also to include in your travel list the new “Memorial Museum of Zemun”, galleries “Stara kapetanija” (Eng. Old Harbormaster’s office) and “Icarus”, as well as cultural events like Summer in Gardoš, Summer on the Promenade, Summer on Lido, Zemun International Salon of Caricature, International Festival of Monodrama and Mime and Tesla’a Day. There are many restaurants and bars in Zemun and the neighborhood of Hotel D10 with a rich gastronomic offer of local and international cuisine that will tickle your palate and satisfy all your senses. If you are looking for the authentic specialties made from fresh river fish, visit the restaurant “Široka staza” (Wide path), located only 5 min (350m) from Hotel D10. With the view of the Danube and fishermen, enjoy delicious food and a glass of wine. You can find simple, Mediterranean aromas of the Greek cuisine in the restaurant „Piatakia“, located only 650m away from the Hotel. Light summer meals made from chicken, different kinds of cheese and fish, enriched with olive oil and herbs and spices, are only a small part of the rich cuisine. If you are looking for a unique ambiance, “board” the wagon of the restaurant “Balkan Express” (600 m) located on the hilltop above the Danube and, while enjoying the diverse many, listen to the waves of the river. 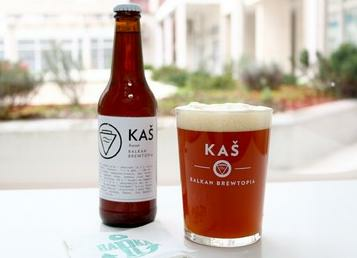 All beer lovers will enjoy in every moment spent in the “Kaš pivara” (Kaš Brewery)(600 m) that produces artisan craft beers by the original recipes, without preservatives or additives. If you want your meal to be an adventure you will remember gladly, let the boat take you to the other side of the river to the tucked away restaurant “Tri točka” (Eng. Three Wheels), surrounded by the untouched nature and the view of the city. When walking around Zemun, do not miss the pancake house “Pinokio”, the pizza place “Campo di Fiori”, modern ambiance of the restaurant “Supermarket talas” (Eng. Supermarket Wave), restaurant “Ćiribu Ćiriba”, as well as many other beautiful restaurants on the Promenade. 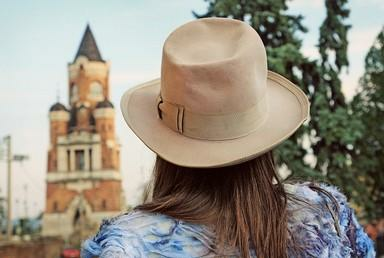 When it comes to the fun and party, Belgrade is known as the city that doesn’t sleep and has many bars, splavovi (Eng. Floating bars) and clubs that will satisfy all musical tastes. Allow the spirit of the city take you to the most different places and feel the energy of this part of Belgrade, which represents the fusion of two cultures and the treasury of past memories.